The Christmas season is a busy one! 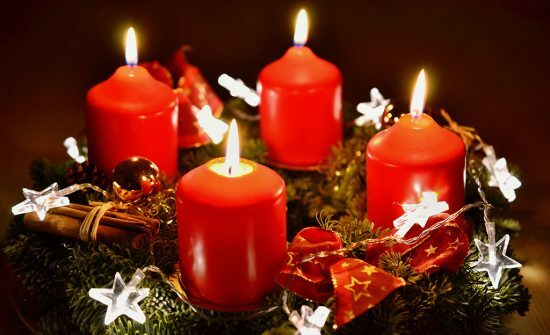 Celebrating German Advent will help you slow down and enjoy the real reason for the season. 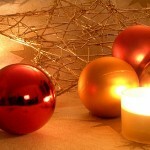 Advent is celebrated on the four Sundays before Christmas. 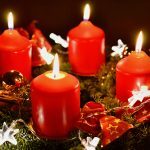 The Advent tradition is a religious celebration in preparation for the arrival, or “advent” of the Christ Child (das Christkind) on his “official” birthday, the 25th day of December. On the first Sunday, one candle is lit. On the second Sunday, the first candle and another candle is lit. On the third Sunday, the first 2 candles are lit in addition to the third. On the fourth Sunday, the first 3 candles are lit in addition to the fourth. There is no specific way you have to celebrate Advent Sundays. 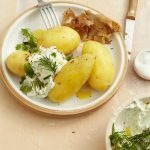 Typically it is time set aside to gather as friends and family and sing Christmas songs, read poems or stories and enjoy some Christmas goodies. 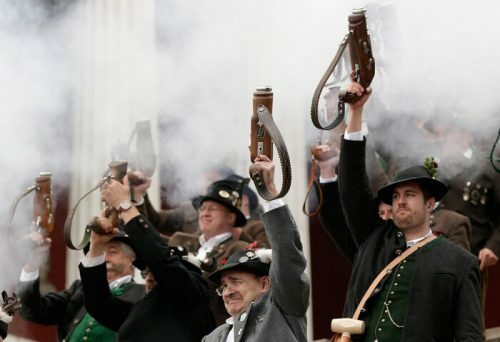 Das Adventsblasen – “Blasen” is what a wind instrument does when you blow into it. 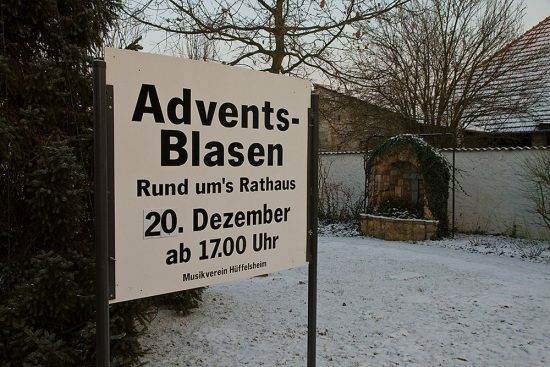 So an Adventsblasen is a sort of… advent wind concert? 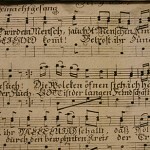 Adventsblasen usually take place either in churches or in open places like Christmas markets – and the idea is to bring Christ down to earth with the music. The Adventsblasen pictured below is a traditional mix of trumpets, trombones, horns, tubas and other brass and wind instruments, and has been taking place since 1979. 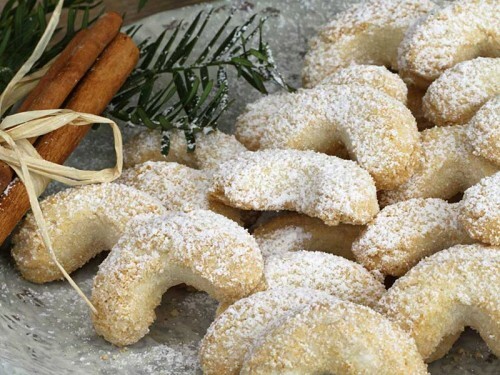 Adventsgebäck is basically Gebäck (cakes, pastries and biscuits) traditionally eaten during advent. Seasonal baked goods are a big deal in Germany. 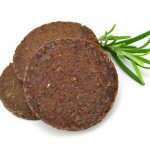 Unsurprisingly, Lebkuchen is the most in demand. But Lebkuchen isn’t the only sweet treat making Germans feel all Christmassy during Advent. Stollen is also an essential part of the German Christmas experience. A bread-shaped cake filled with raisins and spices, if you ration it carefully it can last for weeks. 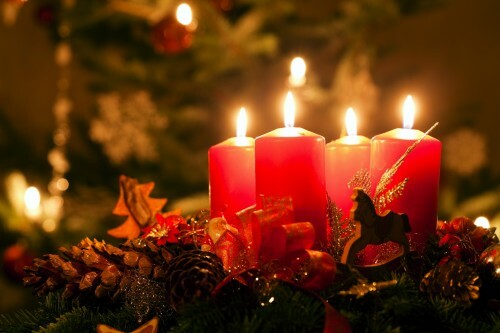 Der Adventskranz is the name for a German Advent wreath. 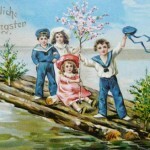 It’s believed the Adventskranz first appeared in a Hamburg youth shelter in the mid 19th-century. 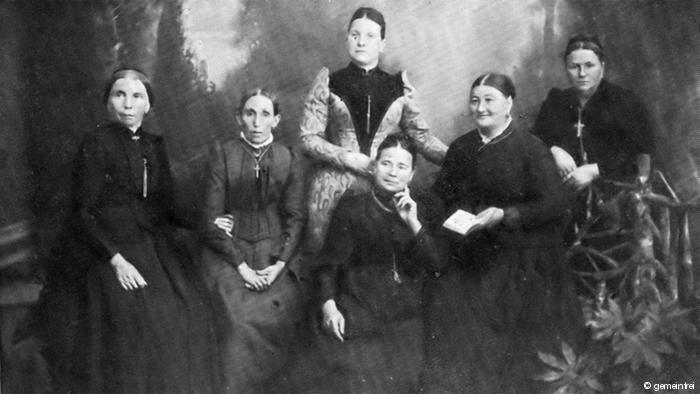 Established by Johann Wichern in 1833, the Das Rauhe Haus was – and still is – a lifeline for children and teenagers separated from their parents. Wichern wanted to show the youngsters the way to Christmas, helping them count the days and visualise its coming. But while this original wreath had 24 candles, today’s Adventskränze are more likely to have just four – to be lit on the four Sundays of Advent. On the evening of December 5th, you’ll find many German children leaving out a shoe before they go to bed. 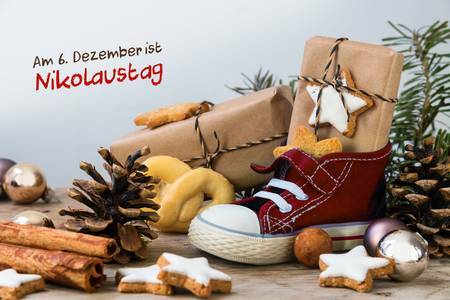 If they’ve been good during the year, they’ll awake on Nikolaustag to find their shoe stuffed with sweets and treats. 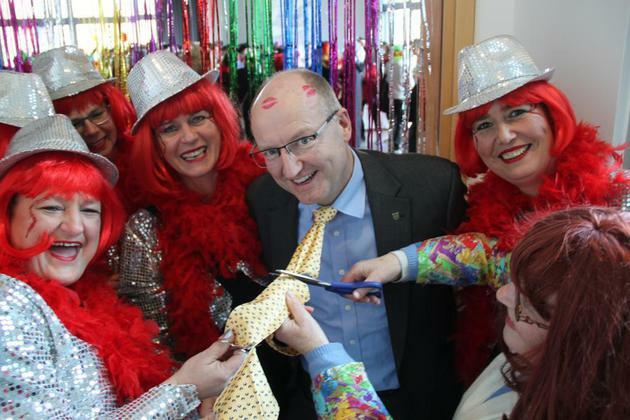 But if not, they’ll have to answer to Knecht Ruprecht. 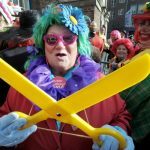 Nikolaus’s terrifying alter-ego, Knecht Ruprecht provides a switch of wood that parents can spank naughty children with – a practice that thankfully died out a long time ago. Admittedly, it’s not the most festive part of Advent. 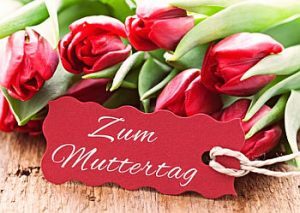 December 25th may be the big day in the UK and USA; but in Germany most of the festivities come a day earlier. 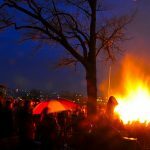 On Heiligabend – or Holy Evening – Germans celebrate the birth of Jesus. 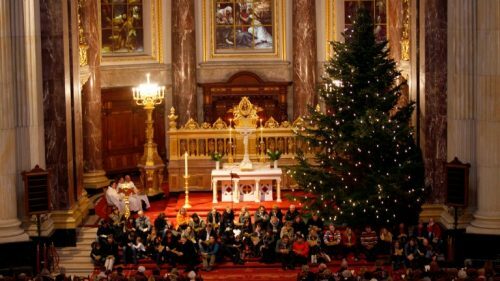 As soon as the sun goes down on December 24th, it’s officially Christmas – with many families exchanging presents, enjoying festive meals and attending church services. 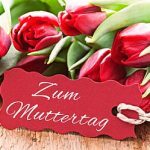 Christmas Day (called the “Zweiter Weihnachtstag,” or “second Christmas Day”) is still a public holiday across Germany. 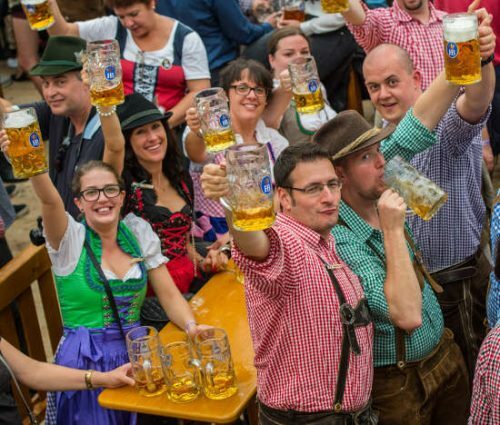 For almost 200 years, the Cannstatter Volksfest has enjoyed enormous popularity and annually attracts about four million visitors from near and far to Stuttgart, the state capital of Baden Württemberg. People are captivated by the special atmosphere of the wonderful funfair coupled with beautiful festival tents, a colorful flea market and many spectacular attractions. 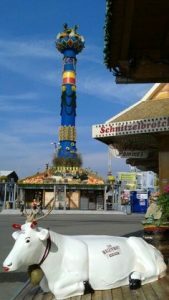 Rich in tradition, the Cannstatter Volksfest is not only the biggest festival in Baden Württemberg but it is also has one of the biggest funfairs in the whole of Europe. This year the festival takes place on Sep 28, 2018 – Oct 14, 2018. The Cannstatter Volksfest is an annual three-week Volksfest (beer festival and traveling funfair) in Stuttgart, Germany. 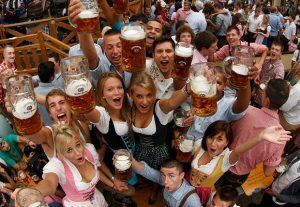 It is sometimes also referred to by foreign visitors as the Stuttgart Beer Festival, although it is actually more of an autumnal fair. 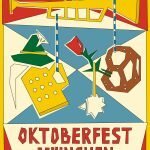 The festival takes place at the Cannstatter Wasen from late September to early October, spanning a period over three weekends, ending the second Sunday in October. The extensive Wasen area is in the Stuttgart city district of Bad Cannstatt, near the river Neckar. A smaller variant of the Stuttgart festival, the Stuttgart Spring Festival, is also held each year in Wasen. 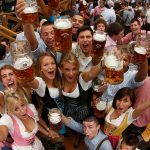 Although the Volksfest is not strictly speaking a beer festival, it is considered by many to be the second largest beer celebration in the world after the Munich Oktoberfest. According to estimates about 4.2 million people visited the festival in 2006. The Volksfest begins one week later than the Oktoberfest. 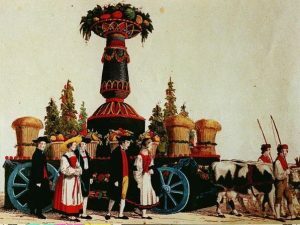 In a time of political strife and economic weakness, Württemberg’s King Wilhelm I and his wife Katharina laid the foundations for what today has become known as the Cannstatter Volksfest by forming the “Centralstelle des landwirtschaftlichen Vereins” – an agricultural organization – in 1817. An agricultural festival with horse races, prizes for outstanding achievements in livestock breeding combined with a people’s festival was, in accordance with the king’s wishes, designed to revive Württemberg’s economy after the damage done to it during the Napoleonic wars. 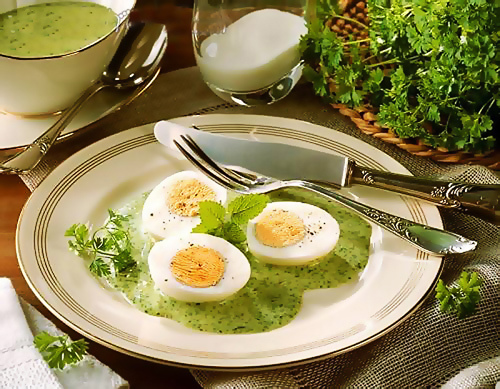 Everything was then prepared for 28 September, one day after the king’s birthday, in the following year. 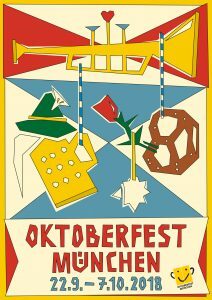 The original Cannstatter Wasen site has been the venue for the major festival ever since 1818. At the time it was an idyllic though watery meadow on the banks of the River Neckar which was yet to be dammed up. Lying between green fields and vineyards and without any surrounding buildings, the Wasen, as the site is called by the locals, lay within view of the royal Villa Bellevue close to the Wilhelma, the only combined zoo and botanical garden in Germany. It was therefore only a short horse-drawn carriage ride away for the festival’s benefactor who had no intention of missing the ceremonial opening and witnessing the successful start. 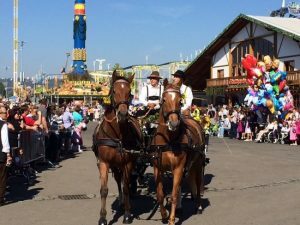 The original idea of the “king amongst farmers and the farmer amongst kings”, as Wilhelm I was called by his contemporaries, continues today in the shape of the so-called “Landwirtschaftlichen Hauptfest”, a large agricultural show running parallel to the Volksfest that showcases all the latest technology within the farming industry in the state of Baden Württemberg. The “Fruchtsäule” (Fruit Column) is the emblem of the Cannstatter Volksfest. 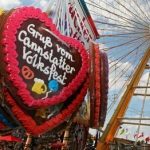 There has been a towering column decorated with many different kinds of fruit, cereals and vegetables ever since the first Volksfest in 1818. 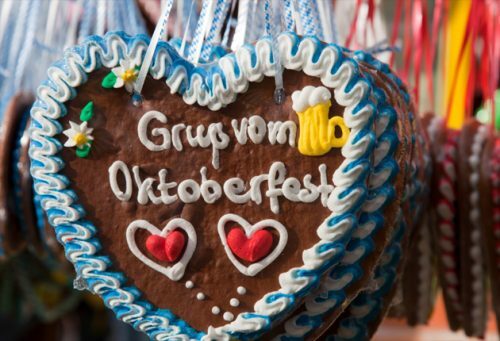 Today the symbol reminds one of the origins of the Volksfest, namely the agricultural festival. Commissioned and funded by King Wilhelm I, the frist fruit column was designed and built by the architect to the royal court, Nikolaus Friedrich von Thouret, the money for the first fruit column was funded by King Wilhelm I. The “fruit column” is a wooden pillar decorated with fruit, it is 26 m high and weighing 3.5 tons. After World War I, with the beginning of the Weimar Republic, the fruit column was removed from the Cannstatter Wasen as it was considered a relic of the monarchy. Since 1935, the 100th anniversary, it has been back in its traditional place. 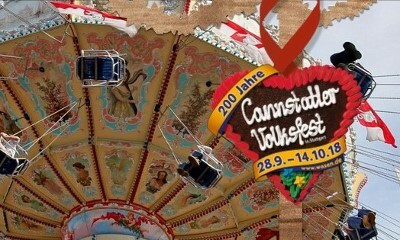 Until recently the fruit column, the design of which has changed over the years, was dismantled after each Volksfest. Every few years it is redesigned. 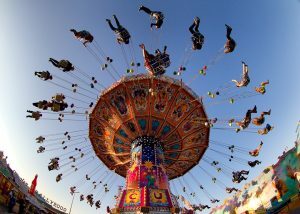 Since 1995 it has been left in place throughout the year and is thus also on display at the Stuttgart spring festival. In recent years only the tip has been dismantled leaving the lower portion in place housing information stands and the Cannstatter “city can”. 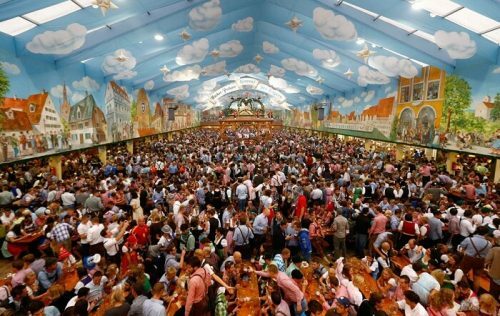 Today, there are seven large beer tents on the Cannstatter Wasen for people to celebrate in. They either have their own name or carry the name of the brewery supplying the beer. Since 1982 the tents of Laub, Grandl and Klauss have been located by the fruit column. Each tent takes it in turn to host the opening ceremony. The price for a Maß is usually the same in all tents. 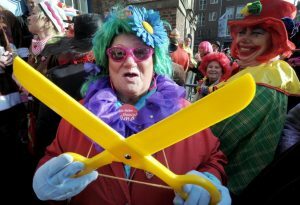 Traditionally a parade also takes place at the Wasen, usually on the first Sunday. In 1954 a record number of spectators attended the parade along the route from Stuttgart’s central square to the Wasen site: 300,000.The Mohrenköpfle is a pig in the parade. On the orders of King Wilhelm I, masked pigs (Maskenschweine?) were imported from Central China in 1820/21, in order to improve pig breeding in the kingdom of Baden-Württemberg. This crossbreeding with the “Chinese pigs” was particularly successful within the stocks of domestic pigs in the Hohenlohe region and the area around the town of Schwäbisch Hall. Krampus, whose name is derived from the German word Krampen, meaning pickaxe, is said to be the son of Hel in Norse mythology. Originally, Krampus was a purely pagan creation, said to be the son of Hel from Norse mythology. 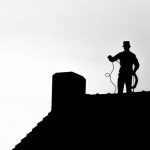 But he got grafted onto Christian tradition as a sidekick of St. Nicholas. The legendary beast also shares characteristics with other scary, demonic creatures in Greek mythology, including satyrs and fauns. 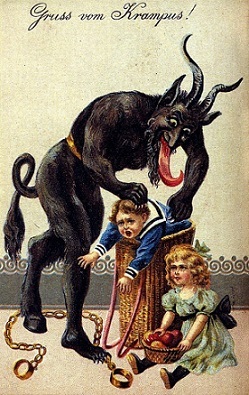 Krampus was created as a counterpart to kindly St. Nicholas, who rewarded children with sweets. 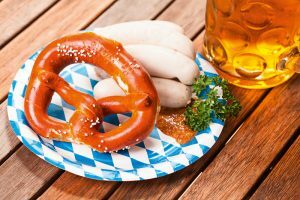 The tradition originated in Bavaria and spread south through the provinces of what is now Austria. 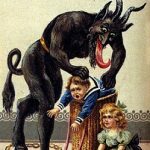 Krampus brings punishment back to the Christmas holiday, threatening naughty children with more than a lump of coal in their stocking. 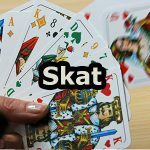 It is believed that the long-horned, shaggy, goat-like monster with a long, angry face and lolling, forked tongue would visit the home of misbehaving children to punish them. However, due to his likeness to the Christian devil, Krampus was banned in Germany, Austria, and elsewhere, throughout much of the 20th century. The legend of Krampus isn’t in fear of dying out, as it is in fact gaining in popularity, even though there are those who believe the devil-like Krampus figure is inappropriate for children. 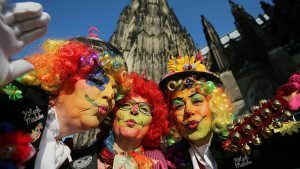 Many people in Germany mark the crucifixion of Jesus by participating in church services and processions on Good Friday (Karfreitag), which is two days before Easter Sunday. For others, it is the start of a long weekend and possibly a spring vacation. 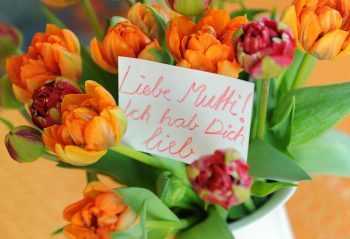 Good Friday is a public holiday in all German states. Post offices, banks, stores and other businesses are closed. However, some tourist stores may be open and stores at railway stations, airports and along highways are usually open. 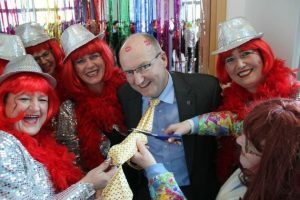 There are some restrictions on selling alcohol, public performances and dancing. Public transport services may run as usual, a reduced service or no service depending on where one lives or wants to travel. 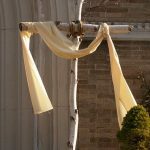 Important Good Friday symbols are images of the cross used during Jesus’ crucifixion and of Jesus on the cross. The cross that is normally on the altar or wall is placed on a carpet or piece of cloth on the floor in many churches. 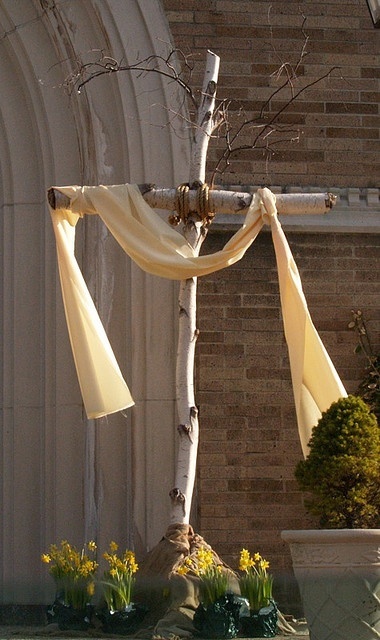 In areas with a Good Friday procession or play, the cross or crosses used as props may be left in place for the whole Easter weekend. Some people attend special church services on Good Friday. 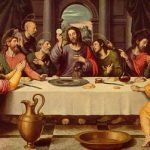 It is customary in some churches and areas that the church organ and bells are not played on Good Friday. 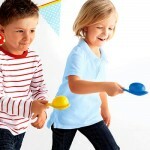 Instead musical rattles are used to announce the start of the services and accompany the hymns. 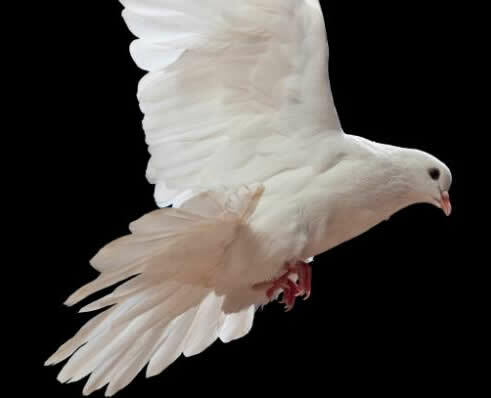 For others, Good Friday is the start of a long weekend that also includes Easter Monday. 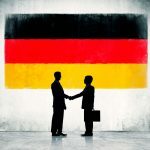 They may take a short break or longer vacation in Germany or a neighboring country. 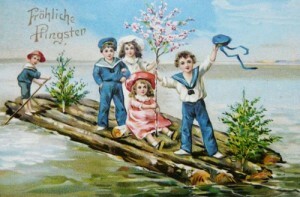 It is still possible to ski at Easter in some years and regions but in others it is the start of the sailing season. Some high profile car races are also held on Good Friday. Religious processions or plays are held in the open air in many areas. These tell the story of the last events leading up to Jesus’ crucifixion. 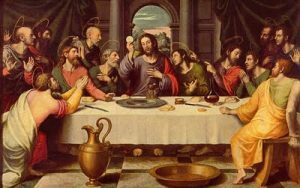 It is customary to eat fish instead of meat because Good Friday is a fast day for many Christians. 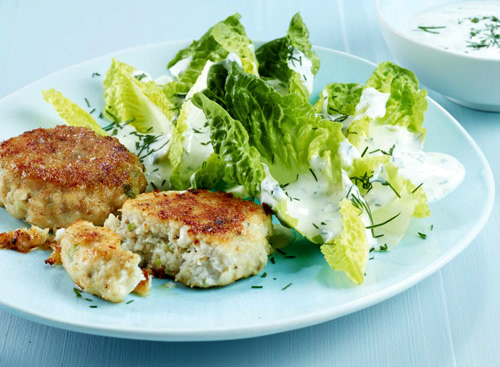 Try these wonderful Fish Cakes with Green Sauce.